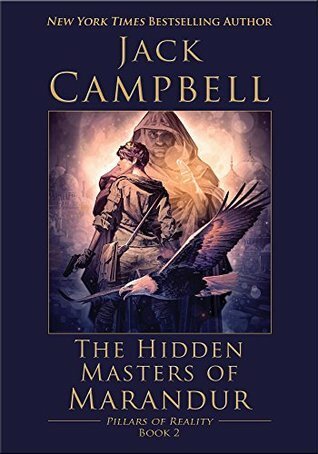 The Hidden Masters of Marandur (Pillars of Reality Book 2) by Jack Campbell is probably one of the two best steampunk and fantasy mash-ups that I have read so far, which is fitting considering it is the sequel to the other best. I was a bit worried when I picked this up to read that I wasn’t going to enjoy this book as much as I did the first, or that Campbell wasn’t going to be as good an author as I remember him being, but I’m glad I can say I was worried for no reason at all. 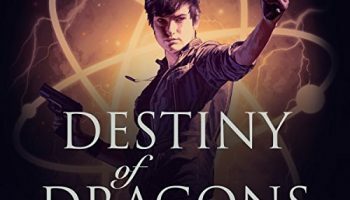 Jack Campbell took everything I loved about the Dragons of Dorcastle and just piled on top of it with more awesomeness to create its sequel. I was yet again surprised by the originality of Campbells work with both of these books, it’s rare to find so many new ideas in a book these days. The Hidden Masters of Marandur takes place directly after the events of the Dragons of Dorcastle— Master Mechanic Mari and the Mage Alain have managed to stop the dragon that was terrorizing the people of Dorcastle, but in doing so have revealed their rebellious nature to each of their respective guilds. 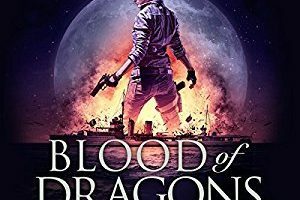 Challenging the status Quo is something neither the Mechanics or the Mages guilds are prepared to accept however, and Alain and Mari soon find themselves sent out on dangerous missions by their respective guilds in attempt to silence their rebellious questioning. The Mechanics and Mages guilds don’t know everything however, Alain and Mari are in love and will not let anyone or anything come between them. This book was another good reminder for me that there is good steampunk out there to read, you just have to look in unexpected places. 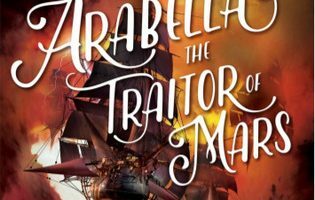 I did not expect to pick up a book series originally created as an Audible exclusive and to have it turn out to be something I was unable to put down. After I finished both the Dragons of Dorcastle and the Hidden Masters of Marandur I found myself suggesting the series to everyone I knew or met who reads, the lady I met in the fantasy section of my local book store probably thinks I’m absolutely crazy at this point. The only bad thing about enjoying a book this much is how fast you finish it, now I don’t know how long it will be until the next book in the series releases, or what I will do to hold myself over until then. Listen below for a free preview of The Hidden Masters of Marandur narrated by Macleod Andrews; courtesy of Audible. I like that you have audio book preview, why don’t other review sites do that to? i haven’t seen that before. We really aren’t sure why other bloggers don’t do it, but we were contacted by Audible and offered the option of using audiobook previews with our reviews. Its a nice addition I think!